Hi Bruce: Thanks for posting this. 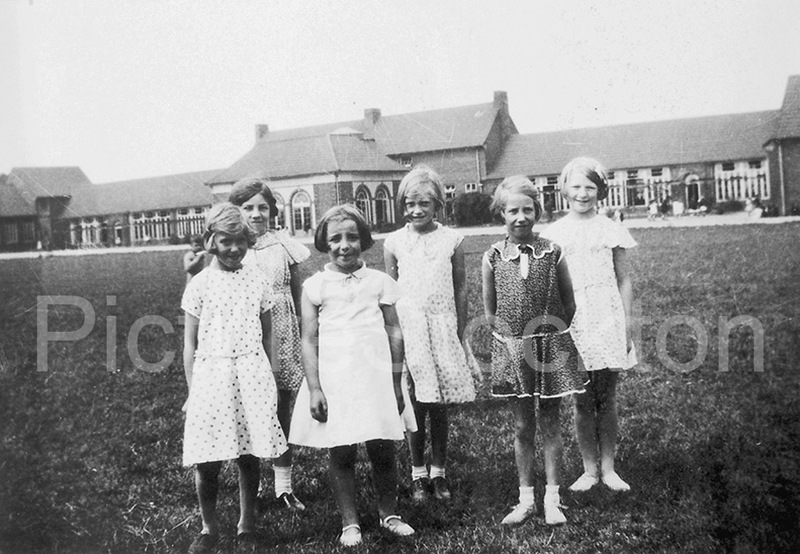 I Started school at the Billingham South Modern in 1948 and stayed there until 1954 after spending 4 years at the Church of England school on Chapel lane and then on Billingham Green. I remember it very well and took classes in the two prefabs next to the Baths as you record and ate lunch in the prefabs near to the police station. Martingale was the head master at that time, a stern disciplinarian. Other teachers I recall were Miss Fletcher art, Miss Dodd Math, Mr Chapman Science, and Mr Caghill history of a sort. I left in the summer of 1954 in class 4A teacher Mr Chapman. If anyone reading this thread was there around this time I would love to chat about it. I have a photograph of all of the teachers at the South Modern including Mr Martindale, the quality is not too good but I can send you a copy if you get in touch with me, it was taken in the early 1950s, I also have two photos of the staff at the Church School taken in the late 1940s, would you be kind enough to have a look at them and possibly name some of the teachers. Hi Derek you would probably have been in school around the time my sister Pat Parnell was in classes. I was 5 years behind her and left in 62. I remember well those teachers along with my main antagonist Stan Mathews who used to cane me every chance he could find, at least that is how I remember so it may have just been a frequent hiding from him on a regular basis to show the other 47 in the class how powerful he was…/ I seem to remember Chapman being the music teacher who had a habit of turning around suddenly whilst patrolling the aisles, and jumping on someone who he presumed was sticking two fingers up at him. Oh those were the days. Yes, my mother was David’s eldest sister, David is on Facebook if you have access to it, he lives on the Headland in Old Hartlepool. The name would probably have changed when it became a Secondary Modern, i.e. after the 1944 Education Act, which introduced the Tripartite System. There were still riveters at the Furness shipyard when I worked there briefly in early 1964 but far more welders. The Campus school opened in 1958 but only part of it (Stephenson Hall?) so those of us who passed the 11+ still had to go to Hartlepool or Stockton even if we lived only a 5-minute walk away.